Sadly, operators cease trading virtually every week, whether through unfavourable trading conditions, bankruptcy or retirement, many of them having made a major contribution to their local community. Ashley Wakelin’s Wheels operation stopped trading at the end of November last year upon his retirement. 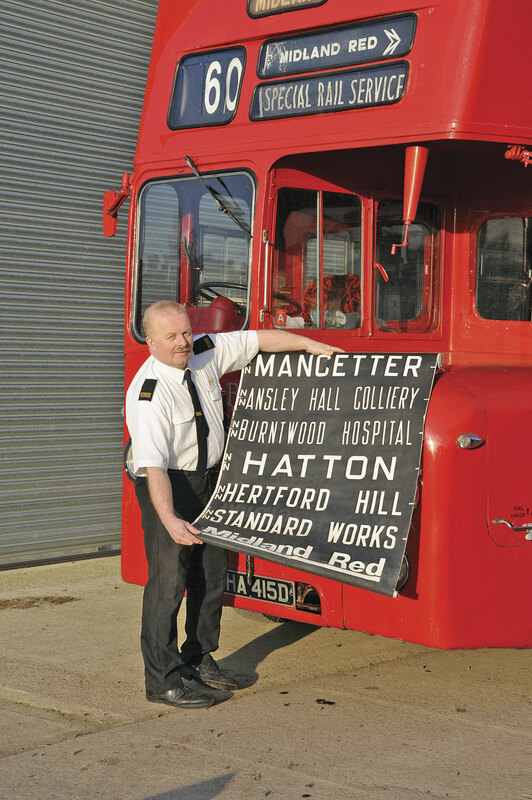 For Ashley, running buses and coaches has not always been about earning a living from his fleet (though at times it has); more about finding a way to pay for the garaging and upkeep of his heritage vehicles. His life has been a series of phases, most largely successful and enjoyable, and nearly all something to do with the bus and coach industry. As a child, from his bedroom window he could just see the Midland Red buses on the 747 and 734 routes between Nuneaton and Coventry and remembers being fascinated by the arrival of the BMMO D9 double deckers with illuminated upper deck exterior advert panels. 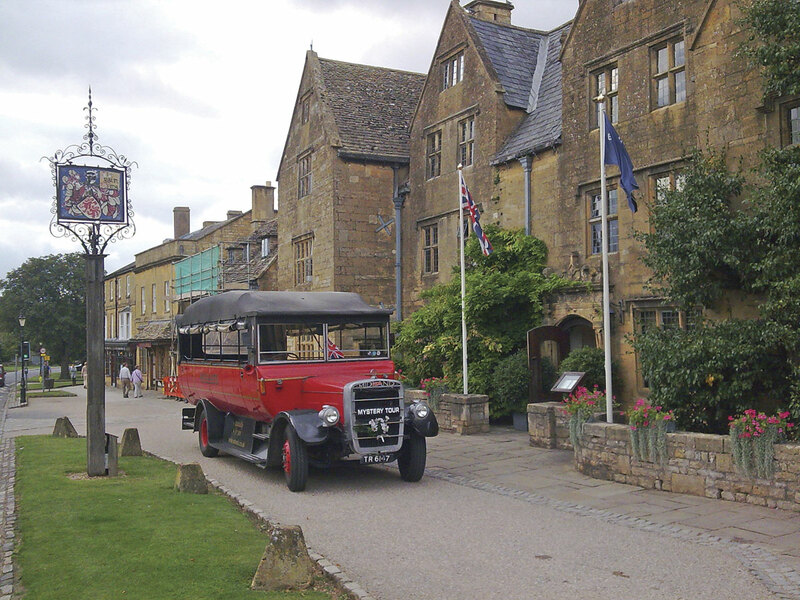 As a weekend job, he would help at Red House Group, an operator with such exotic vehicles as a Plaxton bodied Daimler Roadliner and a pair of Park Royal Royalist coach bodied Albion Vikings. From six in the morning until ‘whenever’ he would help with despatching and then go into the booking office to do whatever else needed doing under the eye of Sid Davies, formerly of BTS Travel. Sometime he wrote out the blackboards for the departure boards placed in front of each of the excursion coaches. At school, he would time the passing services from the classroom window and was more interested in buses than his schoolwork. Such was his preoccupation that the school arranged with the Midland Red for him to spend a week with them on work experience at the divisional office at Peacock Lane in Leicester. Divisional Manager, J.P. Addenbrook, and a Mr Richardson looked after him, sending him to different departments including the private hire office and the booking office. It had been intended ‘to get it out of his system’ but it had the opposite effect. A week’s experience turned into a fortnight and when he did go back to school it was to make the arrangements to leave and start work with the company. He began by answering the telephone at the back of the busy travel shop at Pool Meadow in Coventry. It was 1968 and he was 16. At the time Midland Red still ran a well used parcels delivery service and the office was a key distribution point. In time he progressed to the counter. 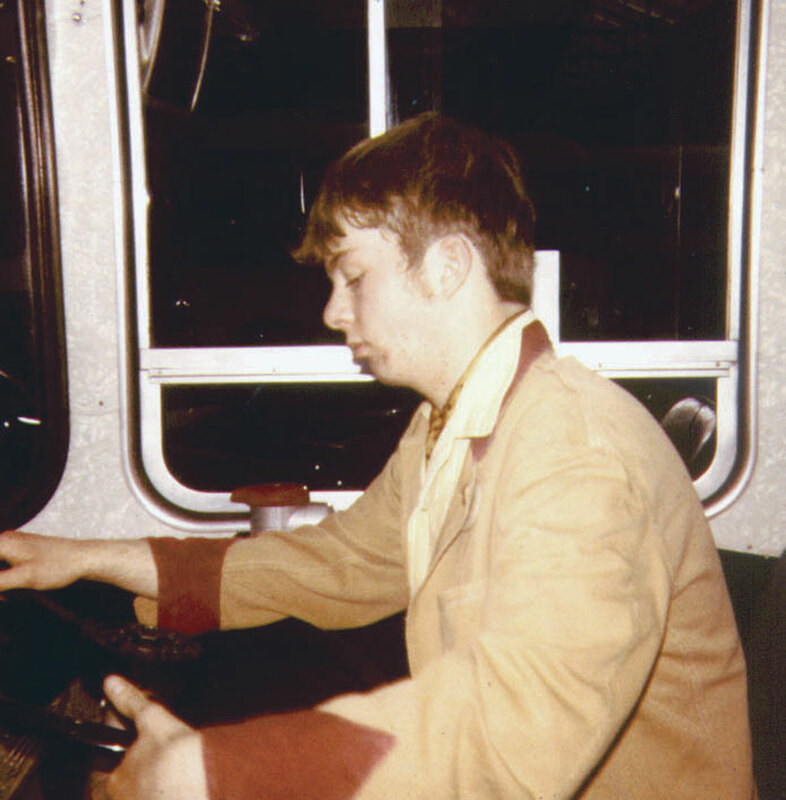 After a couple of years he wanted to conduct and three months after his 18th birthday was despatched to the conductor training school at Leamington, subsequently conducting from Leamington on a variety of Midland Red’s own built buses including the S15, S16, S17, D7 and D9 types. When someone was off in one of the local booking offices he would stand in and before the age of 21 was quoting for coach hire at Leamington Spa garage under its much respected Traffic Superintendent, Len Edwards. At 21, he went to the Nuneaton driving school, one of several within the Midland Red empire, and after making light work of handling a C1 type coach, progressed to handling a D7 double decker. He took his test the following Wednesday and though he stalled, he maintained control of the bus and passed. He was sent back to his depot with his pass ‘chitty’ to undertake all types training for the ten days until his licence arrived. He stayed with the company and, after driving from Leamington and Nuneaton as well as filling in at various travel offices, became Travel Sales Supervisor with what was now Midland Red South. A task he remembers was doing a deal with a new little company in Perth to sell their tickets, never suspecting that within a few years they would own the company. He was Senior Administrative Assistant at Leamington when, with deregulation looming and doubts about the way the company was going, he was introduced to the proprietor of Arnold Shaw Coaches of Warwick by a mutual friend, Rob Paramor, a successful local travel agent who had once run the chart room at Victoria Coach Station and wrote the popular book ‘Hello Coastal’ which told the story of the iconic facility. Arnold Shaw was a Yorkshireman running a five coach family business who had just bought a new Bedford YNT Paramount 3200. Ashley joined as Sales and Development Manager for a period and had some success developing better class work before leaving and joining Rob in a converted Co-operative shop in Leamington that combined the ‘Master Cutler’ restaurant, the ‘Next Stop’ coffee bar, a model railway shop and three rented flats. Within the model shop was a National Express booking office. It all ran well for five years until an offer from the pub next door resulted in its sale. Next came a two year spell at Warwickshire County Council where he joined the public transport department at a time when a lot of tenders had been handed in. His duties included representing the authority within ATCO (the Association of Transport Co-ordinating Officers) and the experience gave him a good insight into a different side of the business. 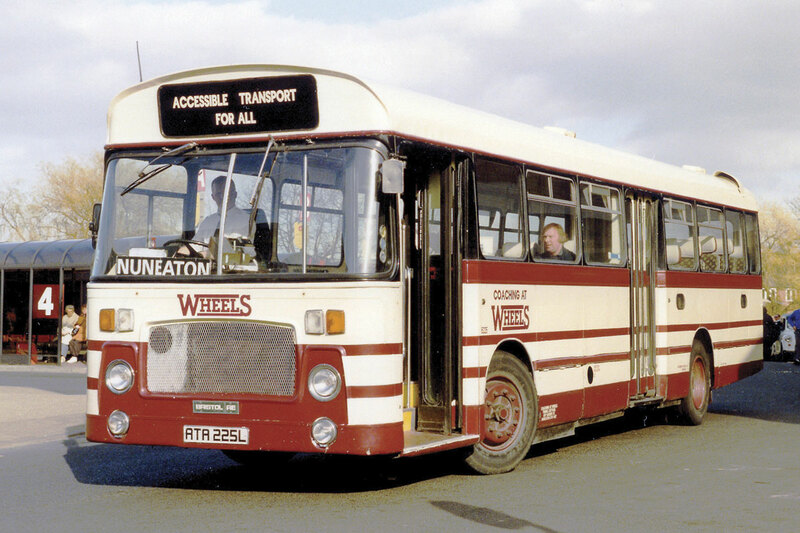 Ashley’s first venture into operation in his own right came in 1992 when, with two friends, he set up Coaching at Wheels with a cream and maroon livery, operating commercially from a yard in Nuneaton. Pride of the fleet was a Royal Blue Bristol RE with a series one ECW coach body. 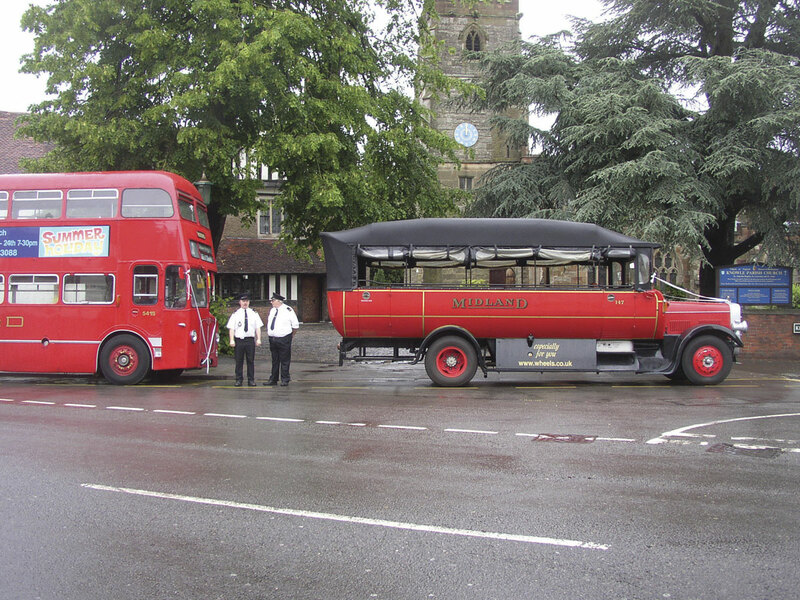 Around a year later the opportunity arose to rent space in the town’s Midland Red garage, though this situation changed abruptly when Stagecoach took over and a fleet that had grown to 11 vehicles suddenly needed a new home. 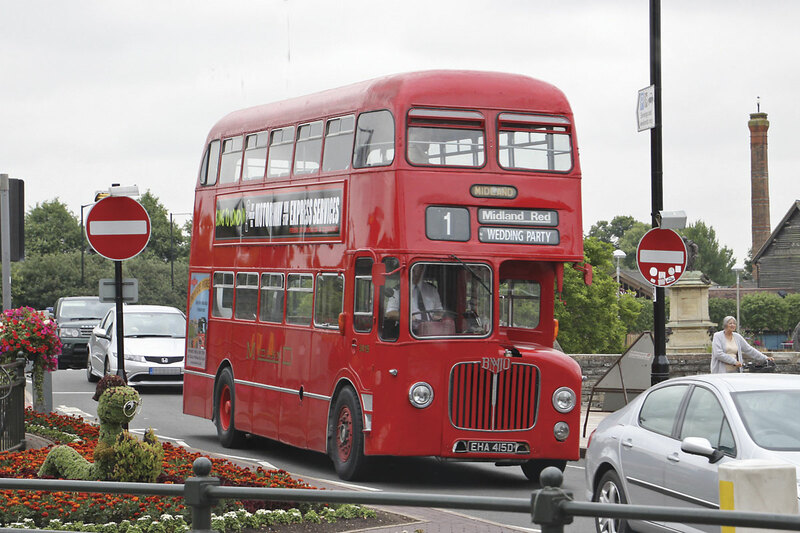 By this time Ashley had acquired his all time favourite purchase, a former Midland Red D9 half cab double decker. 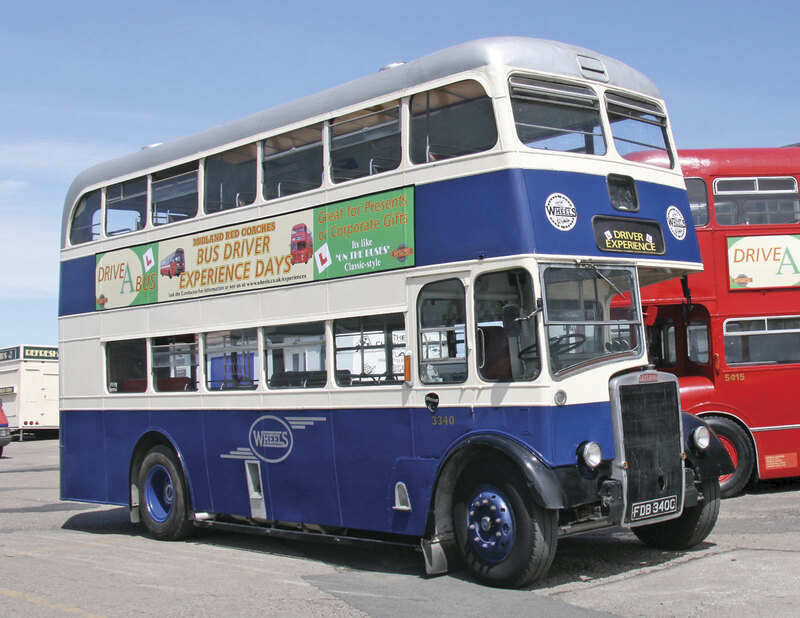 Eventually a new base was found at Marston Jabbett, but as the D9 and a Bristol VR, the only double deckers owned, were both too high to reach the property, they were sold to owners who Ashley knew would look after them. The workload was a combination of contracts and stage carriage work, part of which was commercial and part tendered. Conditions at the yard, which had never been good, became progressively more intolerable and Ashley called it a day. Next he ran a model railway shop and restaurant on platform five of Nuneaton Railway Station, following on a runner up award in the 1999 Railtrack Best Station Food competition with the top prize in 2000. While still running the operation he had started producing 1/50th scale resin model bus kits as well as selling bus models. The restaurant continued until around 2007. 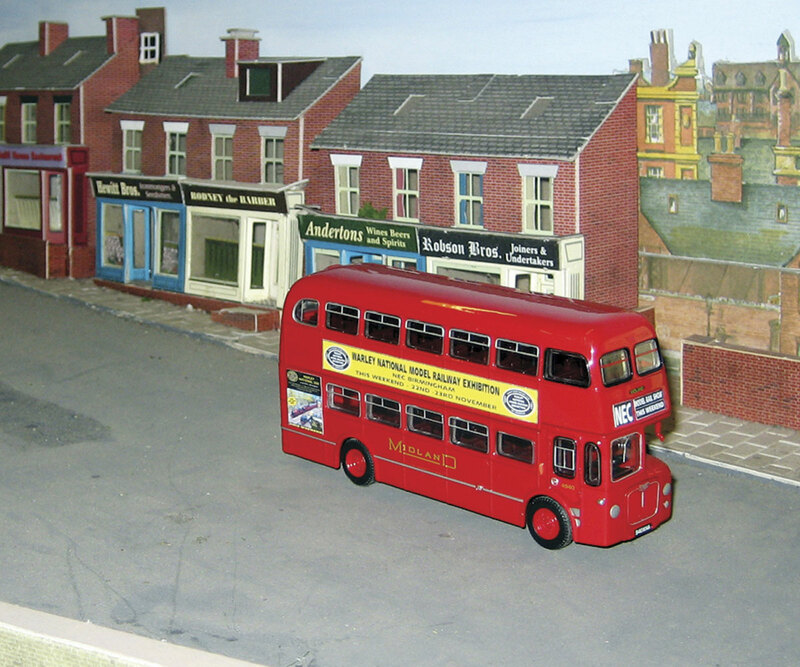 It had always been Ashley’s ambition to start a working bus museum but plans to start one came to nothing because of the difficulties associated with finding a secure location. Planning permission was even obtained on a site at one stage but vandalism in the area was such that he decided he couldn’t take the risk. This didn’t stop him from acquiring vehicles. He had bought his first bus when still a teenager, paying £25 for a Bedford OB, though he panicked when he lost his parking spot and swapped it for a leather jacket. Other buses were acquired at various times. It was in the mid 2000s that he obtained a second standard national operator’s licence enabling him to operate two vehicles at one time. Remarkably, he managed to obtain the rights to the name Midland Red Coaches, which had been with Badgerline but had somehow ended up with a hotel in Torquay. ‘I negotiated with them and bought it. I was as proud as punch,’ Ashley recalled, subsequently applying it to all of the vehicles included in the Wheels Museum of Transport collection. Unlike most operators, the vehicles didn’t go out that often, generally only once or twice a month. Nobody was employed with those who drove mainly former Midland Red friends of Ashley’s. Jobs undertaken included specialist private hires, weddings and funerals, at least one of which saw the bus carry the coffin. One funeral job caused a degree of amusement after a lady rang to enquire about using his services. He rang back and asked when the funeral was, only to be told, ‘I don’t know, he’s not dead yet.’ On another, the bus had to go inside a prison with the coffin. 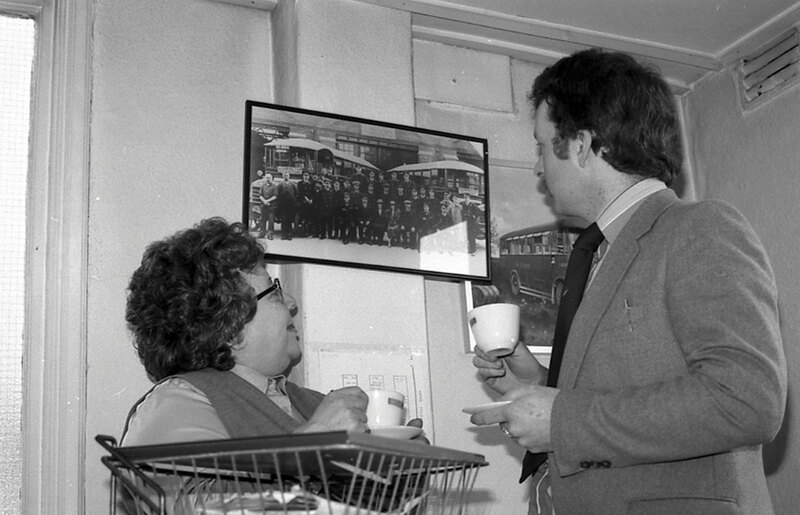 Ashley’s career came full circle when Wheels/Midland Red Coaches opened a travel office and model shop in Coventry’s current Pool Meadow bus station, just yards from the site of the Midland Red travel centre where he started work. 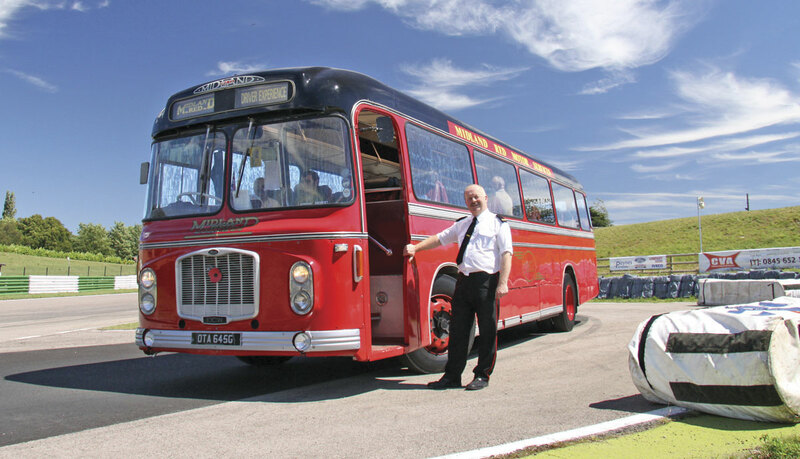 An unusual sideline was the operation of driver experience days that enabled people to drive a vintage bus. The idea had first been mooted in the early 1990s and a leaflet produced but nothing came of it at that time because he couldn’t get a positive response from an insurance company to the idea. Meeting a lady who specialised in museum insurance policies subsequently enabled the idea to be resurrected. Vehicles used were drawn from a pool of around nine preserved vehicles owned at various times. 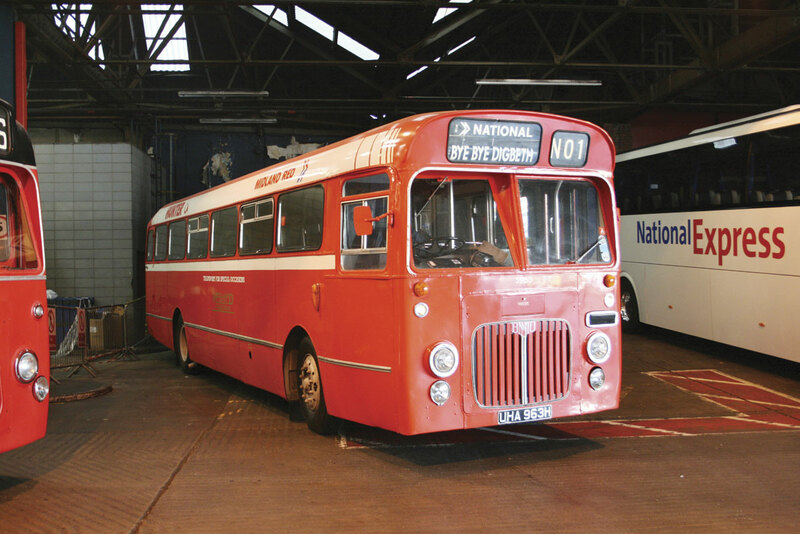 These included: the D9 he had previously owned and bought back again; a 1970 Midland Red S23 from the very last batch built by the company and actually completed by Plaxton at Scarborough (along with a similar bus for spares); a former Stockport Corporation Leyland PD2 East Lancs double decker painted in full Stratford Blue livery; a former Royal Blue Bristol RELH ECW coach with tables and Midland Red moquette; a 1988 semi automatic Leyland Royal Tiger Doyen; a similar Royal Tiger Doyen but with a manual gearbox; and perhaps the most unusual of all, a weird and rather wonderful charabanc built by the apprentices at Shamrock & Rambler on a Bristol LH chassis. Fully PSV tested with 2+2 seating, open sides and canvas hood, the LH charabanc carries the appropriate age related plate, TR6147 and proved popular for all manner of tasks. It undertook quite a bit of filming work for television series ‘The Village’ that saw it travel to and from the north of England on a low loader. Having retired from buses, Ashley still intends to get up at 06.30 every morning. ‘I’m not the sort of person to do nothing,’ he said. He has purchased a 70 foot long canal boat built by the Pinder yard in Stourbridge in the 1960s as a floating hotel. ‘Narrow Boat Rose’ originally had seven bedrooms and operated along with another boat to form the ‘Rose & Castle’ combination. Restoration by Stuart Fletcher of Derby was completed in 2007. ‘It’s flicked a switch in my head and I’ve found I like life in the slow lane,’ he said, adding, ‘It has a twin cylinder Lister engine, I’d have liked a Gardner but I couldn’t afford it.’ Once everything from his former business is fully cleared up, he intends to travel on it. Somewhat surprisingly, it isn’t painted in Midland Red’s red and black colours. He explained, ‘they’re the EYMS colours, another company I like. My dad was from Hull and I used to spend my school holidays there.’ He used to dine with Mr Tom Haig, Chief Engineer at Hull Corporation, a connection that resulted in Ashley visiting Hull’s trolleybus depots as a child. For some years, Ashley has been active on the public speaking circuit, something he plans to continue and possibly increase. He doesn’t need notes for his talks which he delivers to Probus groups, Women’s Institutes, Towns Women’s Guilds, church groups, U3A groups, the Society of Engineers and anyone else who is interested in booking him for a nostalgic talk. ‘It’s not technical, though it can be, it’s social history,’ he says. His intention was that he would leave owning buses behind but, in the deal to sell the charabanc, he acquired an MCW Metrobus hospitality unit in part exchange, which he is now using for personal outings and picnics. It’s hard to imagine Ashley not having at least one bus in his possession. He plans to write a book and he’ll also be producing model buses again. Having previously offered models of the Midland Red CM6T, D9, QL and ON types, the next will be an S6 and a FEDD. Looking back, he reckons every job was a good job. All of the Midland Red Coaches hires were operated without a breakdown of any kind which he reckons is more than you can say for some of the more modern vehicles he has encountered. Ashley may not have been the most mainstream of operators in his own right, but his experiences show how fostering young people’s enthusiasm for the business pays back in generating adults with long term enthusiasm and commitment to the industry. I’m not sure that the same kinds of opportunity to get involved at as early an age are there in today’s industry.